Corvette Pinball produced by Midway and released under the bally name, is as fast as the car it’s named for. 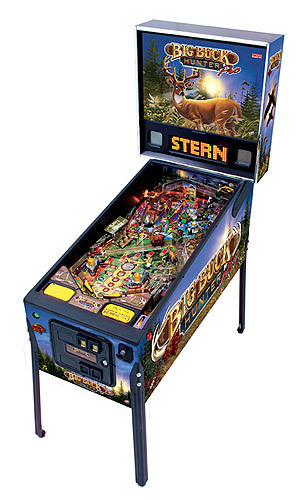 This pinball machine has plenty of interest for both Corvette and pinball fans alike. The objective is to speed through a drag strip course, competing on thirteen international racetracks, collecting ten famous Corvette models, and meeting six female models driving their own Corvettes, to the backing a rocking music track. 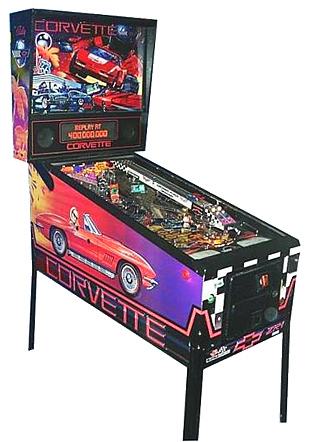 Corvette Pinball is loaded with special equipment, including a two-car drag strip, Christmas tree starting lights, reproduction Corvette side pipes and dot matrix instrumentation.